Inexpensive shell jacket that does a decent job of blocking wind and rain. Durability is average. Breathability is better than average. Value is hard to beat. I'm 6 feet tall and 175 lbs with an athletic build. I purchased this jacket new to take on a year-long trip through South America. I used this jacket as my rain jacket, wind jacket, insect protection, and light insulating layer. After one year of demanding use this jacket held up slightly above average. The construction held up, but the DWR coating did not. Fit and Comfort: The fit of this jacket is right on. The body has enough room for layering, but not so much room to let in excessive air. The shoulders and arms fit my average frame. Adjustability: The hood can be worn up, down or hidden in the collar. There are pit zips to allow airflow. And one of the key adjustability features that i like is that the chest closure has both a zipper and velcro pieces. The velcro pieces allow me to close my jacket without using the zipper, thus increasing breathability in warm or damp conditions. Water Resistance: The water resistance of this jacket is average. After 1 year of demanding use the DWR coating wore off. Breathability: This jacket has average breathability through the fabric. The breathability through the pit zips and chest closure is good when secured only with the velcro pieces. Moisture: I would not say that the material itself wicks away moisture. The material can become clammy when the conditions are hot, humid, or rainy. The pit and chest closures do allow moisture to escape. Warmth: The jacket is only a 2-layer jacket and not the warmest of jackets. It will protect one from cool breezes. Combined with a fleece, soft shell, or puffy this jacket will insulate well. Layering: The jacket is the perfect fit for layering a fleece, soft shell, or puffy. Thus, the jacket is very versatile. Abrasion: I'd say that the jacket has average abrasion resistance. There are some scrapes and blemishes on my jacket. There are no arm or shoulder protective layers as there are on higher quality jackets. Function: The jacket works as promised. The only thing that did not function great for me was the ability to hide the hood within the collar. In windy conditions the hood would creep out of the collar. Ease of Use: This jacket packs small and light and is easy to carry and deploy. Features: The jacket works fine as a wind and rain jacket under rough conditions. Under extreme conditions the jacket may allow moisture to penetrate. This jacket comes in a variety of colors, so if you like to stand out fashion wise you can probably find one that you'll like. Construction and Durability: The construction is top notch for this price point. The durability of the material and protections is good. The durability of the DWR coating is suspect or below average. Conditions: I've owned this jacket for 4 years. 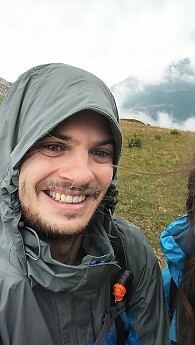 I've used this jacket for rain protection in Panama, mosquito protection in the Amazon, hiking in the Andes mountains, and even casual exploring in Antarctica. I put this jacket through many trials. The jacket has performed above average in terms of construction, but has performed average in terms of water repellency over time. Thanks for sharing this review of your Precip, Troy. It sounds like you had quite a year-long adventure when you first bought this jacket. For its money the best lightweight jacket I have had. For its money the best lightweight jacket I have had. Beat the OMM Kamleika one (3x the price) hands down. Just needs a better hood visor. 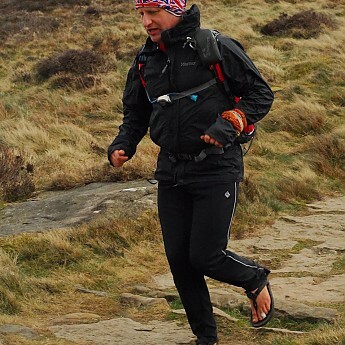 So when I got my OMM Kamleika Jacket in 2013 I was really buzzing as it was seen as the ultra runner's dream. Turned out to be the worst thing I bought since breathable jackets were conceived. Its tiny pack space (one saving feature) was its undoing. It fell out of a side pouch one day. Aside from the ripoff price I did not miss it, especially when I found the PreCip at 54 pounds. Totally different kit. Firstly, it breathed well allowing it to be a running jacket especially with the pit zips down. But when hit with a deluge (9 hrs worth on the Lakeland 50 ultra) it didn't fail anywhere. It packs down to a small pouch (one of the pockets) and still five years later is literally as good as new despite being packed in my ultra rig and hauled out regularly. It benefits from Nikwax TX renewal. Fit wise it's close but not snug. It's not a full length, more a 3/4, but with similar trousers it's a great setup. It's also a robust material. The OMM had rips from the get-go from bramble spines, but this one holds up well. It is fully-taped seam wise, essential as many mountain races won't let you on unless your kit is taped by the factory. The only downside is the hood. It works fine but has a floppy visor that does not stay above the eyes even using the primitive volume adjuster. So I have a Montane Goretex peaked cap with it and the two keep things comfortable and adds in a bit of versatility. There is better out there, but not at the cost. If my jacket finally dies I am straight back to the checkout with a new one of these purely based on the service I have had from it. Great review of your PreCip, Ady! I really like my PreCip. Great review! Lightweight, cost effective rain shell. I picked up the Marmot Precip because I needed a lightweight and packable waterproof shell that wouldn't break the bank. I use it for everything from around town when it's raining, summer backpack trips in the High Sierra and Cascades, AND climbing trips. I knew from previous reviews that the jacket was not the most breathable, however the pit zips allow me to regulate my temperature during exertion. If I pay attention to my level of exertion and open the pit zips accordingly then I'm usually okay in this jacket. For the price this jacket is hard to beat for my needs. The hood fits over my climbing helmet just fine and the drawcords allow me to cinch it down pretty tight when necessary. I do wish that the jacket had tabs attached to each zipper (pits, pockets, etc.) that would make it easier to use with gloved hands. I like that it easily packs into its own pocket and I can clip it on my harness on climbing trips in case the summit is cold and windy. I find the fit true to size. It's not baggy nor is it too snug. You can easily layer under this jacket. I love the bright red color and the styling works for around town as well as the trail. Another reviewer got wet in this jacket, but I've never had this jacket leak. Welcome to Trailspace, Matt! Thanks for sharing your Precip review with us. Where was your picture taken? Picture was on the summit of Mt. Shasta late this summer. We hardly had any snow. Too bad about the lack of snow, but hopefully you	're faring better this winter. Lightweight, compressible, affordable, breathable rain jacket that kept me dry inside and out. 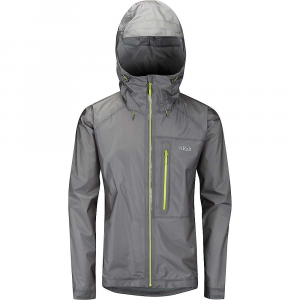 I read a lot of reviews for and against this jacket's rainproof ability and breathability. I have to say I didn't need it too many times, but the few times I've used it, it did keep me dry. First of all the fit is about good. I got the S size and it fits me well, enough room for layering. The hood is great and easy to adjust. I just wish it could be longer on the torso and sleeves. It's not long enough to cover the bottom layers. This is why I give this jacket 4 stars. Rainproof and wind proof: It did stop rain and wind. It had no problem against drizzle and light rain, and even in pouring rain my torso stayed dry, but because of the length of the sleeves and torso my sleeves and lower part of my shirt got socked (but I had really poor rain pants that are probably the reason for why the lower part of my shirt got socked). I used it more often as a windproof jacket and it's OK for this matter, but again, the short torso lets wind getting under it. On the other hand the neck and hood are great against the wind. As for breathability, I never expect a rain jackets to be as breathable as bare skin, and when you hike with a big backpack you will sweat no matter how cold it is outside, so I do expect to have more moisture around my body when I put a rain jacket, no matter how breathable it is. I never got soaked in my own sweat, so for me this jacket is breathable. Features: Highly adjustable, great wind flap over the main zipper, large pockets, awesome pit vents! I think every jacket should have these. The hood is large enough and goes out far enough to keep rain out of your face. Thanks for the helpful review and picture, Yuvalk. Good mountain rain shell. Lightweight, with pit zips. Summary - This is my primary rain protection for spring/summer/fall backpacking and camping trips. It has held up well in a variety of conditions. Still have not found a jacket that breathes as well as advertised. My Use - This has kept me dry on downpours in the Rockies and Sierras. And in warmer rains the pit zips help in ventilating. On chilly mornings and evenings, and some of them are downright cold in the mountains, it holds the heat in from the insulating layers, hood and collar help when cold. Folds up pretty small for pack-ability when backpacking, although other jackets fold up smaller. On chilly days of intermittent rain and drizzle in the high country, I have worn a t-shirt or a light long sleeve shirt underneath while hiking, and I stay dry and warm. Zippers work well, I have had no problem with them, both front zip and the pit zips. Nice to have pockets for small items when on the trail. Some of the more lightweight raincoats don't have this to lower the weight. I like the convenience of easily getting the map, a snack, my knife, or the camera while hiking and/or backpacking. Adjustability - This is a great feature with this jacket. Large collar will cover neck and chin when needed, and can fold down. Hood rolls up under the collar and stays there. Hood is large enough to easily wear a hat on chilly mornings/evenings. Pit zips are great, I consider them essential for any raincoat. I only wish the front zipper had two sliders to allow opening the lower end with the top part is zipped, this would add more adjustability for ventilating, but would also add some weight. Pictures show versatility of hood, very important in changing weather and extends the seasonal use of the jacket. Issues with Breathe-Ability - When the backpacking or hiking is strenuous and the rain decides to come, the jacket comes out. As I continue on, with pit zips wide open and front ventilated as much as rain coming down allows, I can still get some condensation. The "breathable" fabric is better than the non-breathable alternative, but don't think you will stay 100% dry inside if you are "huffing and puffing" or sweating slightly. Fortunately in the Rockies, Sierras, and Cascades when it rains the temperature can really drop, which can help the inside the jacket condensation if you reduce insulation while walking. May be counterintuitive, but by using minimal insulation such that you have to move to stay warm, you sweat less and condensation inside the jacket is less of an issue. Durability - I have used this jacket for 3 seasons now, and have put it through the wringer. I am careful when handling knives, brushing against rocks and basically keep it away from sharp objects. But it still gets some rough handling particularly towards the end of a long backpack day. The jacket is holding up well, no holes. But I have found jackets last about 5-6 years of a lot of backpacking use. With less use, it may last 10 years but eventually the "breathable" laminate on the inside wears down and begins to peal off. Overall - The jacket has performed well. When put to the test on 35 degree cold rains and 50+mph winds, it provides the protection I need. Just wish the breathability could become more breathable. I would buy this jacket again, but will also look at alternatives when replacing it. This jacket has the minimal features I require (pit zips, breathable, hood, pockets) and is lightweight enough for backpacking. I have seen the jacket go on sale from time to time. Jacket's interior was wet in any conditions. Even with pit zips and main zipper open, jacket wets out within minutes when hiking. I really can't recommend this jacket for any use. I purchased this rain jacket for use on the AT next year because it was relatively light and at the time had good reviews. I have used it for 6 months in a variety of conditions with poor results. Wet out occurs within minutes in the rain during hiking. Even at rest with pit zips open, wet out occurs rapidly. No matter what layers I wore, I always felt cold and damp in this jacket. Trying it as a windbreak layer during dry weather still resulted in excessive dampness inside. First rain jacket that had my clothes wetter when wearing it than when I just walked in the misty weather without the jacket. Generic fit but does have tabs to cinch wrists closed and storm flap over main zipper. Large pit zips are only slightly helpful, they can't beat the moisture that rapidly builds up in this poorly breathable jacket. Hood is large and I could never successfully adjust it to a comfortable fit. Mesh pockets were poorly sewn and became useless after several times wearing it because the seams separated. Besides the almost immediate wet out problem, the jacket also leaked along some seams. The interior fabric will quickly wick water soaking the interior of the jacket. This is most noticeable in the sleeves. If the cuffs get wet the water is wicked up the inside of the sleeve giving you very wet arms. At this point I only use the jacket when walking the dog in the rain and even then it is very disappointing. I can't recommend it for any use. I decided to wash this jacket and refresh it with Nikwax Direct TX spray on waterproofing in an attempt to make it usable. After testing it on a rainy hike, my son decided to keep and use it. It performed ok at repelling rain and well at repelling wind. It still retains the cons listed, but since it now functions better as a raincoat I am upping the star rating from 1 to 2. Thanks for the update, Barbara. If you are looking for a super simple storm shell, then you've found it with this. It's exactly what I was looking for. The jacket isn't full of bells and whistles, so if you need more than two hand pockets or fancy adjustments look elsewhere. The pockets are placed in just the right spot to be fully usable with a pack on and they are mesh inside. They are large, running down to the bottom hem. The jacket has pit zips to open up when a bit of ventilation is needed. Combine these with the mesh pockets on the front, and you'll be nice and breezy. The hood has a draw cord adjustment and the visor doesn't collapse on my face when I sinch the hood down. The bottom hem has a simple drawcord adjustment as well and the cuffs are elastic with velcro closure for a tight seal. The packability is nice, packing down to the size of a softball and weighing very little. The jacket does retain a slight bit of warmth which is nice during a chilly rain and it's sized generously to fit over a fleece or other insulating layer. Perfect for the winter. I read some reviews that say this jacket leaks all over but I have not experienced any such problems. Dry, light, packable and simple. 5 stars. One of my all-time favorites. I purchased this jacket in the fall of last year. I purchased this jacket in the fall of last year. I have worn it in several different situations since then and it has more than met my expectations. It has kept me dry in everything from a short walk in the rain to a torrential downpour on the Buffalo River in Arkansas. Each time it has done exactly what it was designed to do. Even in the winter I stayed warmer with a light fleece under the Precip than a buddy who had a $300 North Face winter coat. They also look as well as they function. Overall a great great product. I wouldn't hesitate to buy it again. My girlfriend liked mine so much she went out and bought one as well! One of few brands that offer a tall size for rain gear! Overall it seems like it would be an OK jacket, but it's not a perfect fit for tall people with an athletic build. Primary reason for buying this was because it's one of few rain systems out there available in tall sizes. However, the fit of the jacket is the primary reason I'm returning it. What I didn't catch when I bought it is that it is a "regular fit". This means it's more form fitting than other rain gear that's typically relaxed fit. While this could be nice in windy situations, I prefer relaxed fit. Aside from comfort, I think the extra loose fabric helps absorb the impact of the rain drops when it's really pelting down on you. The forearms of the jacket were tight with my arms hanging at my sides. If I bent my arms it only got worse. Sleeves weren't as long as I expected for a tall. I'm 6'5" and 260 lbs and they were just shy of my wrist. Wore the jacket once in the rain and it instantly felt clammy/clingy. Some other rain jackets seems to have ways to reduce/improve this. Jacket had pit zippers which is a bonus, but they weren't very big. So I'm not sure they would vent much since you would have to really move or lift your arms to get air in there. The jacket was pretty light and packs up really small, which is nice for backpacking. Overall it seems like a decent jacket for the price, but it's going back due to fit issues I noted above. Thanks for sharing your experience with the PreCip, WILL1E. Do you have another jacket in mind to replace it? The PreCip Jacket is lightweight, moderately breathable, and effective at keeping me dry. It does everything it is suppose to do, and for its price point, it is a great value. I have been pleasantly surprised with the Marmot PreCip Jacket. For how inexpensive it was, I expected less quality. It does everything it claims it will—it keeps me dry, it is somewhat breathable with the pit-zips, and it is definitely lightweight. So far, it has remained durable for general hiking, camping, and short backpacking tips. As expected, it does have some of the typical "crinkly" noise to it that is inescapable with rain gear, but not to an annoying extent. 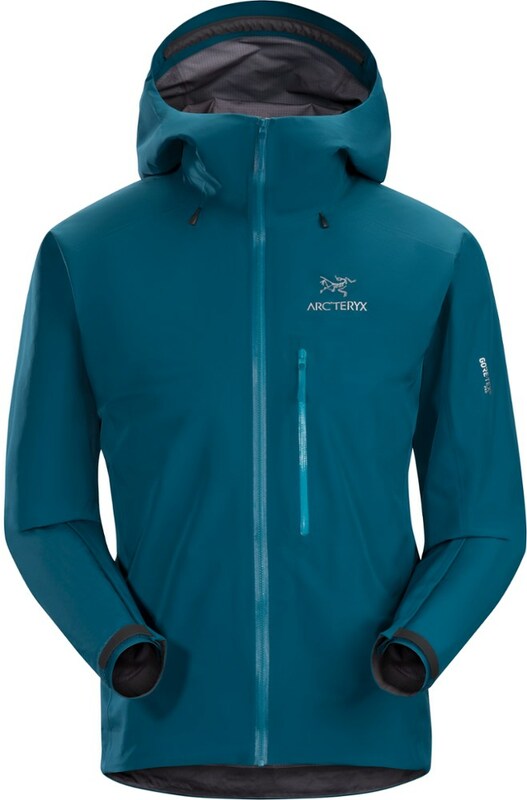 Due to its low price point, I cannot compare it to the expectations of a far more expensive jacket, however, for what it is and claims to be, it is a great value, and I am very pleased with my purchase. Welcome to Trailspace, Lance! Thanks for the review of your PreCip. Very poor quality. Single seam stitching, cheap materials, terrible zippers. Compared to the early '00s Precip, this recent incarnation is a cheap product that is essentially just a Walmart hack job. VERY disappointed Marmot has decided to curt corners and produce crap. Marmot has definitely taken a turn for the worse. I recently ordered the new Precip (2016) and when it arrived I was very disappointed, right out of the box. The stitching is sweatshop cheap single stitching and weak. The zippers are poor and flimsy. The wrist closures are again, cheap and flimsy, with the velcro being terribly placed and single stitched. This is not going to withstand any type of typical outdoor use by even the casual outdoors enthusiast. I am comparing the 2016 Precip with a 2004 Precip which was tough as iron, stout, and of high quality. This new one is basically just a cheap sweatshop produced piece of garbage that is not for true field and backcountry use. Welcome to Trailspace, Skandi. Do you have any pictures you can share to compare your 2016 Precip to older models? I really like it. I started to use for trail and then I started to love it for biking. Fits perfect in my backpacks, really stop the rain and the wind. Super lightweight and packable, the first day I almost forget that I take my jacket in my backpack. Very comfortable, fits perfect and does't matter if I'm very or low active. I can open under my armpit and I can enjoy my activity with more breathability. The cuffs close perfectly. The big pockets are super helpful to carry more things inside and really stop the rain and the wind. The hood closes just how I want. OK jacket for overall use. Useful against wind/cold and good for hiking because of the pockets and pit zips. Not so good against rain and the inside coating does not last long. I am 189cm (6'2"). I use this jacket for hiking. I find that this jacket is not really useful against rain and that it does not last long. Still, I find it extremely useful during hiking because of its low weight. I really always use this jacket, even when skiing (I put on one other warm layer underneath). Hiking in cold because of low temperature: I can easily put more clothes on underneath. I still think this jacket is expensive (it seems to be not so much material stitched into the shape of a rain jacket), but other jackets are even more expensive. I can never really adjust the hood. The velcro is too weak to hold up against any strain. So when it rains I use a cap underneath the hood. I guess this is because the hood must also fit over a helmet which it does. It is somewhat waterproof as long as the coating inside is still fresh... this comes off at the places where the jackets creates creases, at the neck mostly. When this is gone, the rain comes right through. I don't see any breathability through the material. I can only vent by zipping open the jacket and opening the pit zips. When I sweat, moisture will always build up. This gets worse when it rains. Welcome to Trailspace, Christoph! I'd love to see some pictures of your apparel and gear you reviewed. Has survived five storms so far. Needed a new packable rain shell that could actually breathe while hiking. I had an old Sierra Designs packable rain shell before they added pit zips. It was like one of those sweat suits you wear to lose weight. Found this Marmot on sale and me and my girlfriend got them. We survived a whole night and next day of torrential downpour on a backpacking trip. I hiked for miles in the pouring rain in this thing and never felt too hot or sweaty. Kept me super dry. It makes a great wind breaker too. Survived extreme desert winds while hiking and camping. I bust it out every time it rains to go out and never use an umbrella. Looks nice enough for the office as well as the great outdoors. I can't speak for the durability yet. It is thin (hence lightweight, pack-able) which is what I was looking for. I did have to watch out while hiking through vicious desert plant life that was trying to steal my jacket from me. It feels comfortable wearing with a full pack and you don't even feel it when wearing it alone. It's roomy enough to wear over a down sweater jacket but not too bulky. My girlfriend felt it kept a flattering shape while still allowing layers. It packs into it own pocket easily. Has an adjustable hood and plenty of pocket room for storage. The hood rolls up into the collar if you don't need it. Collar is high to protect from wind (and make you look like a break dancer). Great lightweight cheap rain jacket. Dont buy the black one as this can easily be misplaced. Fantastic rain jacket. So much so that after losing my first one a month ago, I have just forked out for a replacement. I have also $400 eVent jacket sitting in my cupboard and use it for day to day wear. I picked the Precip as I really wanted a jacket made from breathable material and that's properly vented. I have walked in the rain just in a t-shirt all too often because of overheating. This jacket solved that problem and at a reasonable price. I have used this jacket extensively and would definitely buy it again. Picked it up for $70 at the end of season sale at Gander Mountain. I tested immediately on a warm(er) January rainy day. Kept me dry and fit great. I used it for a 50 day thru hike. It worked well in the rain and as an alternate lightweight jacket for the cool mornings. Fit well, has not shown any wear through all of this. Only drawback I can tell is that it does need to be washed regularly. As you perspire, it will lose its breath-ability, long before (in trail terms) that you think you need to wash it. So if you use it, wash it. There are some special instructions on gentle wash cycle that I have followed and that brought the breath-ability right back. I live in the SF Bay area and we haven't had much rain but the little we have had I've been dry. The jacket it light, packable, and versatile. Good big pit zips to help with breathability and it's roomy to fit over many layers. The reason for 4 stars is just because it's new and it has been dry here so it's only been used a handfull of times so, it needs to pay some more dues to get 5...maybe this spring?? Great rain jacket for the price. 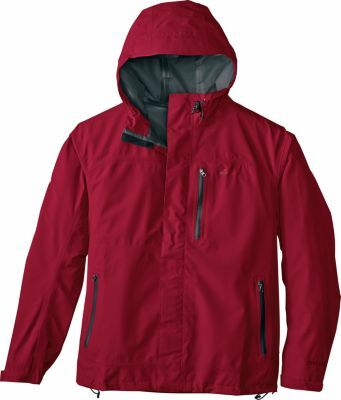 This is a great rain jacket which has benefits over its competitor and lesser quality models. Hoods are large these days to accommodate helmets — seems to be a trend most everywhere. Jacket is packable and lightweight with quality fabric. Some moisture can be retained inside during heavy rains and high humidity. It's not Gore-Tex, but, the price is competitive and you can find it on sale, in selected colors, as I did. It is well worth the investment. I wouldn't be without it. I wear it, and bring it with me as a precautionary measure. I also own a Gore-Tex Pro shell jacket, with much heavier fabric, for other intended purposes where abrasion resistance is necessary. The PreCip is a tried and true proven jacket over the years. If you're looking for an all-around rain jacket, which can act like a shell for use in all kinds of weather, the PreCip is my choice. I even purchased one for my wife afterward. Look for the sales. You can save around $30 or more. As a rain jacket it worked fine when hiking with clothes that would absorb the moisture from the inside during the spring and fall. But when I would run during the winter in N.C., I would find it as wet inside the jacket as on the outside due to my sweating. Makes a krinkly sound, especially when cold. 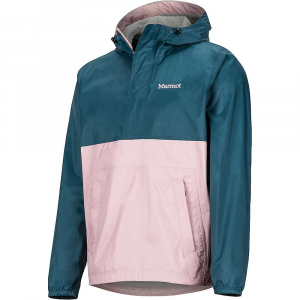 I bought the Marmot PreCip Jacket for $99, and it was a good rain jacket when I was hiking or backpacking in the Blue Ridge Mountains of North Carolina during the spring, summer, or fall. When used running during the winter in N.C. I found that at a high rate of exercise it didn't breathe at all and if I stopped after 2-3 miles I would become chilled, which can be dangerous in the wild. The cuffs adjust with Velcro which works fine. The hem can be adjusted with cords, which I never needed to use. Purchased the Precip in February '12 ($99) at REI. Purchased the Precip in February '12 ($99) at REI. The jacket exceeded my expectations on my 18-day trip through the Smokey Mountains in March. The jacket was exceptional at keeping out the H2O. Purchased the Precip in February '12 ($99) at REI. The jacket exceeded my expectations on my 18-day trip through the Smokey Mountains in March. The jacket was exceptional at keeping out the H2O. We encountered several t-storms with heavy rain and the Precip performed exceptionally. My only complaint is that the jacket does not vent as well as other hard shells. Overall excellent shell for the money. After trying a few hardshell rain jackets, I thought I was just going to be left out in the rain. Everything was too hot! and nothing really would breathe. I bought the Precip and have not been happier! It does have sleeves that are a bit bigger, but the jacket has all the right features that will keep you dry and make you happy. I use this often and it is always packed away in my day bags and backpacks. I have yet to get any condensation on the inside and also have yet to get wet. I have tested it in heavy snow and rain and truly this has been my favorite poncho! I will be buying my wife one soon. My only complaint is, no chest pocket haha. The only quarrel I have with this piece is that it's just a little too short. The medium fit me well, I'm 5' 11" and 150 lbs, but it was just a little too short for my liking. The large was way too big but about the right length. I ended up going for the medium size. For the price, no other rain shell come close! So far this jacket works just great. I have been in light rain, heavy rain and snow with it and have stayed perfectly dry. 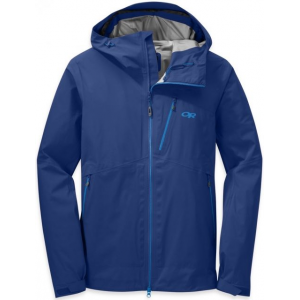 It is extremely lightweight and it works pretty well as a windbreaker as well. It isn't extremely warm but I dont expect it to be. I like the design overall. Adjustable hood is great but part of me wishes it had a drawstring around the hood. It would add a little weight but wind tends to blow it off my cranium. The pockets are in a little bit of an awkward spot but not a big deal. It has vent zips under the arms that work great for breathability. The drawstring around the waist is nice along with the velcro/elastic wristbands. Don't understand why some people hate it. I would recommend, it especially for the price. If I were more patient I could have gotten one for 50% off ($50) at Backwoods but $99 is comparatively cheap for such a nice jacket. 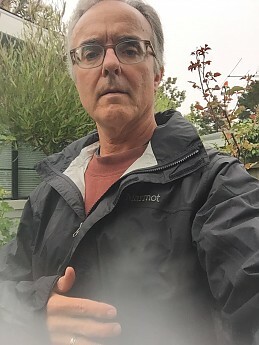 I've owned my first Precip jacket for six or seven years, and it still works great as an inexpensive, lightweight, waterproof/breathable shell. It is not as waterproof as top-level GT, but unless you're going to simply stand about in a downpour, it works very well. In fact, it works so well that I bought a second, similar jacket from Marmot about three years ago. It, too, continues to function well for similar purposes. The primary differences between the two are improved abrasion resistance and an inner snow skirt on the second jacket. The latter sees more use in cooler seasons, the former in spring/summer. One or the other is in my gear on every trip, day hike or backcountry. Fit is relatively trim, but able to fit over a medium-weight fleece, and the length is enough to keep from freezing one's midsection when bending, etc. The zippers work well. Quibbles are that there is on neither jacket an exterior vertical-zipper chest pocket, a feature I really like and miss here. Another important point that helps me like both: when the hook-and-loop closure on the wrists of jacket number two started not to function well (the hooks apparently just didn't like the loops--I don't get it, but there it is), I called Marmot customer support and--Shazam!--actually got customer support rather than customer blow-off. With nary a hiccup, the rep suggested that I send it back, and they'd fix it. I did, they did, and it's just like new. Performance and customer support have made a fan of me. 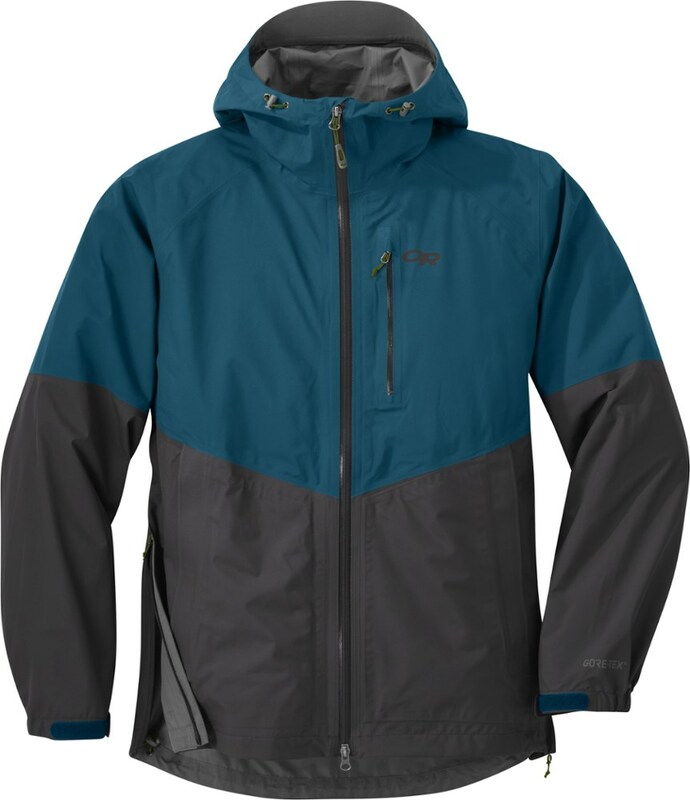 Nice lightweight jacket for the backcountry or around town. I have always stayed dry even in downpours. I would buy again. It's portable, fits reasonably well, and is o.k. in light rain. However, it soaks through in heavy rain and I wouldn't buy it again. I own two of these jackets, one sized larger to go over an insulating layer. They both have kept me dry under a variety of conditions from drizzle to heavy rain/hail, and wet snow storms. Two weeks ago I hiked in the rain for several days in the South San Juan Wilderness and seldom took the jacket off, it kept me dry and comfortable the whole trip. I generated a lot of body heat carrying a pack at high altitude and the large pit-vents did a great job of letting perspiration out. In the winter, I use this jacket while snowshoeing when it's snowing and as a wind block over a fleece. When I'm not wearing the jacket it usually travels hanging off the outside of my pack where I can get to it without digging for it- I haven't noticed any unusual wear. I've had these jackets for 3 years. A very good jacket for the price. Bought the Precip Jacket and Pants for a light pair of rain gear, tired of carrying my heavy Gore-tex gear. I must admit that I haven't had it out in a heavy long downpour but in every other area, windy, rainy and cool, it has worked well. Since I live in the NW I know I will get the chance to walk in heavy rain with it. 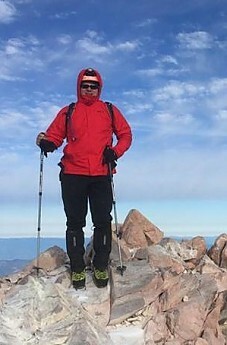 I paid under a hundred dollars for both the coat and pants so I not only can't complain about the quality for the price but I also like the weight of the two garments for backpacking. I would probably still use my Gore-tex for winter ski tours and early spring, very wet, or late fall hikes. Heard great things about this jacket so I bought it...probably wouldn't again. Went to Denali and areas nearby in Alaska for 10 days. Rained EVERY day. Practically lived in this jacket. After the first day the jacket started "wetting out". Cuffs and shoulders started leaking water. Velcro for storm flaps over zipper barely hold. On the other hand it is pretty lightweight, wind proof and warm. I've had this jacket for almost a year but until recently I have not had the chance to test it. I live in North Texas, where it never rains, but when it does, it's a monsoon. During the lighter rain the PreCip will do just fine, but if you find yourself out in the rain often, spending more money on a rain jacket will be well worth it. As for people like me who live in semi-arid climates, the packability and performance of this jacket should be fine. It gets clammy and is not as breathable as the thin material would suggest. But it's superlight and works fine for its purpose. It's just not a severe weather shell. As for fit, it can be cinched down easily and allows for great flexibility. It's frustrating when you see that this jacket gets award after award every year, and that most of the people who buy it love it, but the one that I own is absolutely useless. I don't expect it to preform like 3 layer Gore-tex, but at least keep me dry in the rain from the parking lot into the store! I would NEVER take this jacket into the backcountry. When it snows it wets through, when it drizzles it wets through. I don't know how anybody can say this jacket is waterproof. I mean I never even get to the breathability issue. Even after the full Nikwax wash treatment, water beads only minimally the first few times you wear it in the lightest rain, and after that its wet through city. Garbage, absolute garbage. I live in the Pacific Northwest. This thing works here. It does get a little damp after hours of downpour, but nothing too bad. The fit is great, none of that cavernous vanity sizing that some competitors have begun to employ. The hood is roomy enough for my giraffe-like neck and enormous head, and can be secured well enough for moderate blows. The waist and cuffs are adjustable. Simple, straight-forward design. No complaints. Great jacket. I will never pay for Gore-Tex again! Great jacket. I will never pay for Gore-Tex again! Now that this technology is no longer proprietary, there is no reason to be gouged for foul weather gear! Fully zipped and carrying a pack it breathed well enough to keep me feeling dry. My inner layers felt dry as well. Kept the rain and snow out and was a toasty shell for hanging around camp during the fall rain/snow storm I tested it out in on its initial trip. Can't go wrong on this one! This jacket is a nice shell to take out on cold days with a chance of light rain. Throwing a long sleeve shirt with a fleece is great for the late Fall when it's 40 degrees out. The model I have is a few years old so I'm not sure how current this review might be, but I thought I'd share anyway. 1) Every time it rains HARD I get wet. The cuffs and hem are the first to get wet as they seem to soak up the water, not repel it. I've seen this on other posts and totally agree with them. 2) The zip vents don't seem to do a great job venting. If I wear it without a long sleeve shirt under it, my arms are just as wet as if I weren't wearing the jacket. The only difference is my arms are warm. 3) The wrinkles! When you unpack it the jacket is completely wrinkled. I don't much care much but it looks like I pulled it out of a wet dirty clothes pile. I would only recommend this jacket to someone that plans to use it on occasion in light rain only. I owned this jacket for one year, after I tore my trusty L.L. Bean Packable Gore-Tex raincoat. 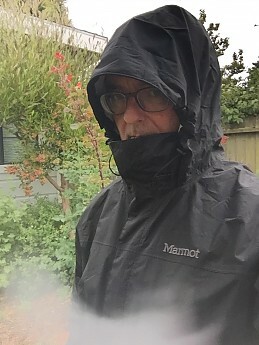 Despite what the jacket advertised, the "waterproof, breathable" material that the PreCip Jacket was made of retained a lot of heat and was not breathable either in hot or cold climates; I found myself sweating every time it rained. I bought a new North Face Gore-Tex, and have been happy for well over a year and a half now; it is equally lightweight to the Marmot PreCip, breathable, and 100% waterproof. I spent one whole day salmon fishing on the Pacific at the Queen Charlotte Islands in a steady rain. I was dry and warm the whole day. Can't wait to use it in the mtns. this summer! Best 65 bucks I spent. I have owned this jacket for a while and I like everything about it. It kept me dry in heavy rain and it is very well thought out product. The only reason that I'm not giving it five stars is the quality. The quality is not bad but it could be better. This jacket so far has been great and I'm sure Marmot will make it better. IT IS NOT WATERPROOF. Even a small rain gets through it. Marmot should not market it as waterproof, the best description would be "a very expensive wind breaker". Stay away from this product. I bought this jacket last year and the smell of the waterproofing drove me crazy. The plastic/chemical smell made my throat sore and my nose run. It really was a miserable expereince and I soon returned it for another jacket without all of the plastic/chemical coatings... Most people don't have allegies like this, but dear god in heaven it made me feel miserable. Cuts the wind like a concrete wall! Very lightweight and compactable. When I summited Mt. Adams and cleared the fasle summit, I was blasted by the wind. I walked around trying to find a rock shelter, finally took of my pack, my sweat frozen to my skin, slid into the PreCip and I felt instant relief. The small elastic cinching bands are difficult to work with even thin gloves. I have owned a PreCip since 2002. My wife and daughter have them as well. It is a fantastic jacket and we all love wearing ours. I have worn mine kayaking in blinding rain, as well as backpacking in the mountains. It holds up well and does keep you dry. It is extremely light in weight, folds up well to pack away and has good ventalation. My ONLY complaint of the jacket is this: If you wear it a lot, then the oils in your skin around your neck penetrate the white lining material and it will eventually turn the inside collar brown. Continuing to wear it will cause the white inside liner to start peeling off in small chunks. My wife's PreCip is starting to do the same thing. I had to use McNett's Seam Grip and put on the inside collar to keep from the lining wearing out. The next model up, the Oracle, has a better collar and solves this problem. Hmm, seems like the general consensus is that this jacket is waterproof. I went for a leisurely 45-minute walk in moderate rain and found that the jacket leaked, especially in the seams around the wrist cuffs and on horizontal surfaces (tops of forearms and shoulders). I wore a cotton T-shirt and found that it became soaked in these areas. My bare forearms were drenched with the fabric adhering to my skin. I started to get cold from the the dampness. I licked my forearms to see if it was perspiration or actually rain -- no salty taste so I concluded that it was rain and not sweat. I think this is a great jacket in all other respects and situations. It is fantastic for a light shower, but failed me miserably for the very reason I bought it -- waterproofness. Jacket itself is great, waterproof as any other breathable item, generous venting, lightweight. My only complaint is the hood -- does not have easy way to wrap up or fold up. Flops around when not being worn, especially in a wind. I understand this may have changed in later editions of the jacket. But for functionality, I give it all the stars. Finally, a jacket I really like! I have two other breathable shell jackets and while they work well, they're just too heavy and bulky to bring along on summer hikes. I also have a 9oz non-breathable jacket and while the weight is nice it's really unpleasant to wear. The Marmot PreCip on the other hand is near perfect. It's breathable, light, and it's waterproof. I got really dumped on for several hours by heavy rain a few weeks ago coming down off Mount Russell, but this jacket kept me dry. I was also considering the REI Ultralight Rain Jacket but it was a tiny bit heavier and more expensive. I have no regrets about buying the Marmot PreCip. It does the job. The PreCip sacrifices nothing in water resistance to be light weight. It packs down **really** small, so there's no reason to be without a wind/water resistant shell. It does get wet inside, but I think that is more from perspiration that isn't dissipated than it is from rain (and I've worn the jacket in some heavy downpours). Flip the thing inside out and liner and the thing is dry in 20 minutes or so. While it is not as breathable as Gore-tex, it will still transport moisture; I've been able to dry damp/set polypro type shirts when wearing them underneath the pre-cip. The nylon somehow seems to become... dunno how to describe it, exactly ... stretchy... when wet, but that doesn't compromise the effectiveness of water resistance. Zippers work great. The pit zips are effective (I use them a lot). 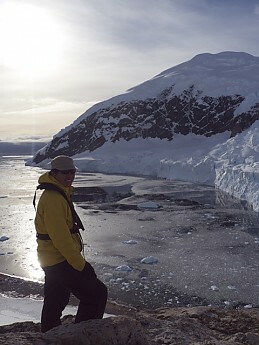 The hood is a bit small for a standard size climbing helmet; it will cover the helmet, but just barely. I needed a new gore-tex jacket and decided to try something less costly than the traditional 3-layer gore-tex shells I wear. The PreCip is great. Have had it out on four summits in the Northeast; all trailless, with snow and temps of 20 to 45. Not quite as breathable as top end gore-tex, but will do just fine. The simple construction, vents provided via pockets and pit zips, and the weight (12 ounces) make it lite, dry, breathable, simple, functional and less than $100. This is all I use now. Very nice! The jacket is awesome w/full pit zips, storm flaps and circular velcro to reduce weight looks great. water just beads and drains off it you remain perfectly dry. 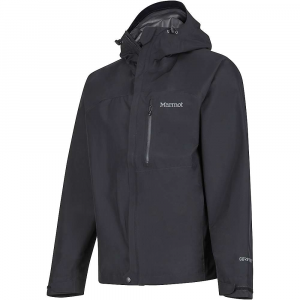 A $99 packable, lightweight, waterproof, breathable jacket -- from Marmot?! I was doubtful until Sports Afield recommended it. We'll see how breathable it is, but waterproof it is. I found out the hard way camping at Roaring Brook Falls in the ADKs on 5/5. Fully taped seams, great hood!, full pit zips, stows into its own pocket, and great looking. Quality is also first rate for entry level gear. So far Sports Afield is right -- it is a bargain. That $99 was at the Mountaineer in Keene, NY. May be able to do even better online. This jacket is fine in a light mist or for wearing around town. However, out on the trail it gets wet inside and feels clammy. Good for light use only. The way the hood folds up is a bit awkward and the jacket doesn't "hang" right when you're wearing it unzipped. Also, the pockets have velcro on the flaps and that is a hassle -- better to just get a jacket with waterproof zippers in the first place. This jacket is only one step up from a cheap rain poncho. My recommendation is don't waste your money; spend a little more and get something that really works as advertised. Stay away from this jacket if you ever plan on being in the rain! The Marmot PreCip has been a huge disappointment. I was expecting a jacket that could withstand a little more than a drizzle. But after multiple times of using it only a half hour I immediately have a wet head and my sleeves are starting to get wet. The jacket does keep off fog and light water splashes, but if the material gets touched the water sticks to the fabric and begins to seep in where ever it is touched. I could have just bought a cheap poncho and stayed dryer. The hood also closes up weird. It looks like a little bonnet! The ties cinch like a hooded sweatshirt but the bill flowers out not protecting your face at all. I bought the Precip as a package deal along the Precip Pants for a backpacking trip to New Mexico a few years back. My overall experience with this jacket wasn't as expected. I found that while it did keep me mostly dry during the afternoon rains it was terrible at wicking away moisture from bare skin and was not breathable at all. Sometimes if felt that i was better off with out it on. However it was wind proof and was able to keep me warm during colder nights (only because it retained so much body heat). It seems from the reviews and from personal experience that the Precip is a hit or miss. My tentmate who had the same jacket loved his, so buyer beware. I've kept mine in storage for a few years and have brought it out for when i needed a lightweight windproof shell for an outer layer, for that purpose it's fine but otherwise if you're looking for a versatile rain jacket look other places. On a side note the Precip rain pants were phenomenal. I still use them to this day on with sweatpants for snow. Light and reasonable priced. NOT WATERPROOF. Took it on a fishing trip to Canada and had 7 days of cold/wet weather. In a steady rain the jacket began to leak in cca 2 hours leaving me wet and cold. Was glad to have my poncho and used it instead for the remainder of the trip. I replaced it since with heavier but waterproof HHenson Raincoat/Pants.